Don’t underestimate the power of a skirt suit either with a ribbed knit for a forward approach to 9-to-5 dressing. There’s something about plaid that brings instant sophistication to an outfit—perfect for the office with on-trend cords and smart accessories. Pair your favorite blazer with a pair of cropped skinny trousers, complete with a long-sleeve tee, sheer socks, and oxfords. If you’re running late and want a one-and-done look (but aren’t feeling a dress), go for a utility-inspired jumpsuit. Try one with a belt or add one to elevate the vibe, slip into classic ankle boots, and you’re set. 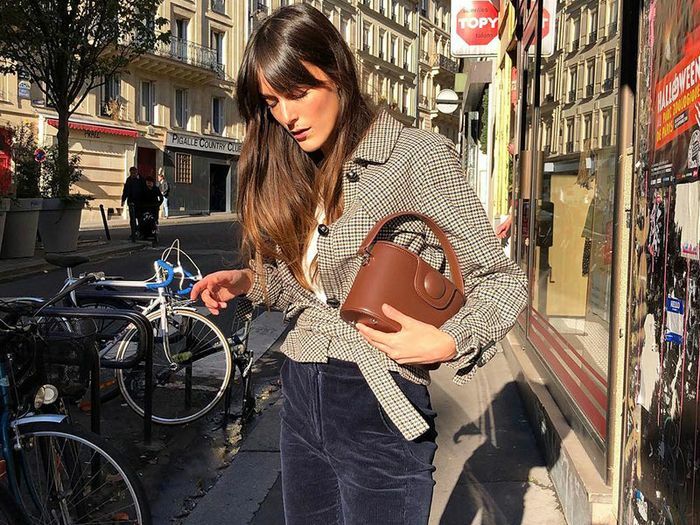 Next, check out the one item French girls love wearing with jeans.